Star Wars is one of the most lucrative properties in the galaxy, with an empire spanning across film, television, books, comics, toys, and games. In the six years since Disney purchased Lucasfilm alone, the franchise has grossed nearly $5 billion at movie theaters worldwide, making the property a sure-fire bet for box office success. Given the juggernaut status of George Lucas’ beloved brainchild, it might be easy to assume Star Wars products across all media are destined for greatness. The video game industry is a fickle one, especially in recent years with the myriad studio closures and large-scale layoffs. A shift towards free-to-play games, streaming, and games-as-a-service business models means publisher changing publisher demands. The volatile nature of game development can make a crapshoot out of the most beloved of franchises, a jinx that even Star Wars isn’t immune to. In 2013, when Disney snatched the Star Wars property from Lucas for a cool $4 billion, it also penned a deal with Electronic Arts that saw the publisher gain the exclusive rights to develop console games based on the license. Since then, Star Wars video games have met with uneven reception. Despite a loss of 400,000 subscribers in February of 2012, The Old Republic claimed an average 1.3 million subscribers throughout its first full year. 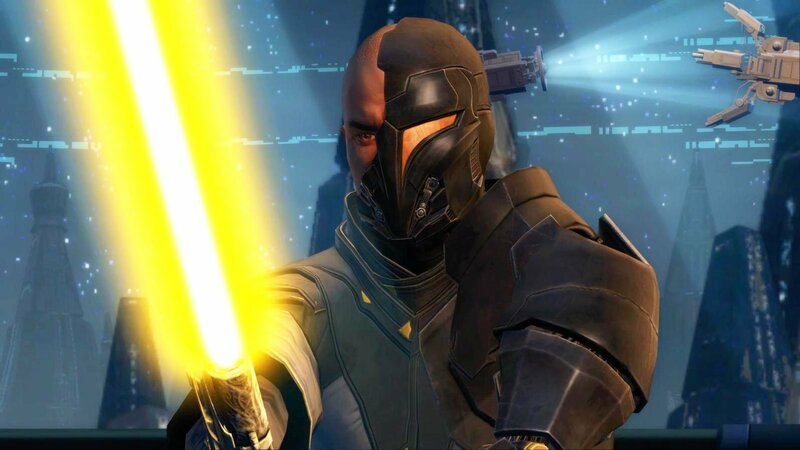 It’s been a few years since EA has released an active player count for The Old Republic in its earnings reports, but the publisher continues to rely on the MMO as one of its 12 live-service titles even if today’s user numbers are speculatively lower than it would like. The free-to-play business model remains a mainstay of the games industry, and is often a more reliable source of revenue than games with a one-time premium fee, a fact that is clearly not lost on EA. In 2015, two years after signing the deal with Disney, EA published two Star Wars titles. The first was Star Wars Battlefront, a reboot of the Pandemic-developed shooter series from the early 2000s. Previously handled by the now-defunct LucasArts, the Battlefront franchise floundered in limbo for a time before EA and Disney decided to resurrect it. Developed by EA DICE, the new Battlefront released to mixed critical reception, but sold very well--according to reports, EA shipped over 14 million copies by May of 2016. In its Q4 2016 earnings report EA referenced Battlefront as a “highlight” of the quarter. The other Star Wars game EA released in 2015 was Star Wars: Galaxy of Heroes, a mobile experience for the iOS and Android platforms. Tapping into a booming market, EA developed Galaxy of Heroes to take advantage of the rich vein of microtransactions that has helped propel mobile to become the most profitable sector of gaming. It appears to have been successful, too: in EA’s Q1 2017 earnings report, the publisher states that Galaxy of Heroes players spent an average of 2.5 hours a day in game. By the end of 2017, this number rose by a full 15 minutes. 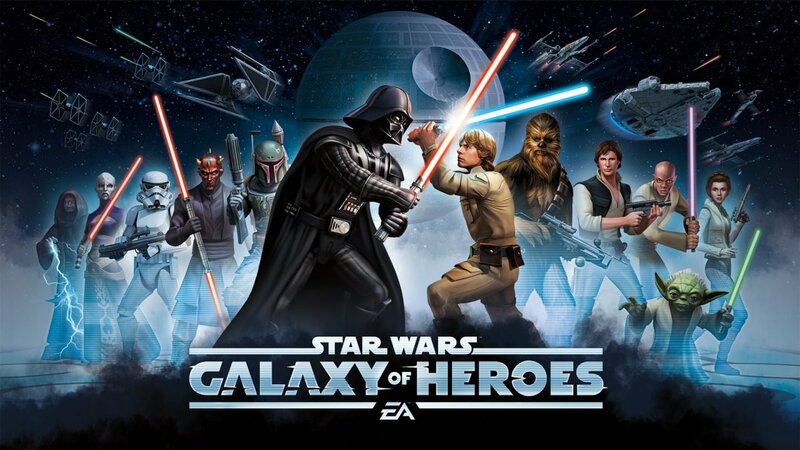 Mobile analytics group Sensor Tower reports that Galaxy of Heroes is at the forefront of EA’s mobile efforts. According to Sensor Tower’s data, the game generated nearly $55 million in Q2 of last year alone, making it one of EA’s most important mobile titles. Last month, Galaxy of Heroes was EA’s top-grossing mobile game, and generated $6 million in revenue. For all the success that EA has had with Star Wars in the first couple years of its deal with Disney, recent developments have garnered public uncertainty regarding the publisher’s stewardship of the franchise. Nowhere else is this more apparent than with Star Wars Battlefront II. Announced in May of 2016, Battlefront II was hotly criticized for its microtransaction-heavy business model. During the game’s beta testing phase, players decried the time and effort it would take to unlock all content without spending money on microtransactions. 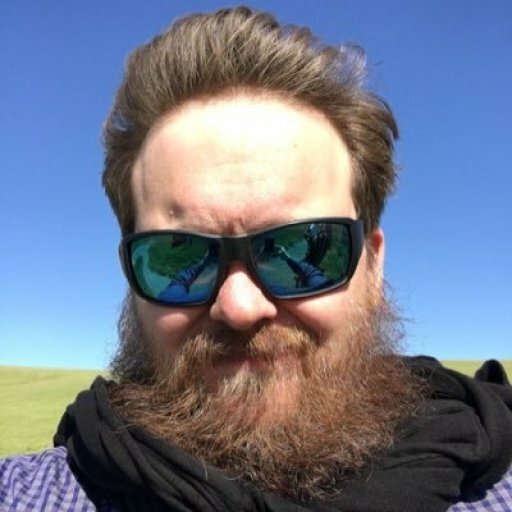 The result of the backlash was a complete overhaul of Battlefront II’s in-game currency system. Many saw the efforts as too little, too late, however, including stock speculators who felt the damage to EA’s public image was irreversible. According to Seeking Alpha, EA’s stock value nosedived following Battlefront II’s November, 2017 launch. Today, the market is a bit more optimistic about EA’s business prospects, but many gamers continue to feel scorned by the microtransaction controversy. Notably, Battlefront II has been mostly absent from EA’s quarterly earnings reports, save for a mention about player engagement of the game’s single-player campaign in Q3 2018. EA projected sales number for Battlefront II to hit 8 million copies by January 2018, but it missed that mark by 1 million, according to an investor call, a disappointing number compared to the first Battlefront’s 14 million copies shipped. EA CFO Blake Jorgensen blamed the microtransaction controversy. The most recent news regarding EA’s handling of the Star Wars license has done little to alleviate public skepticism. It was announced on Tuesday that the studio had cancelled its upcoming open-world Star Wars game. The title, codenamed Orca, had been announced in 2017 around the time EA shuttered Visceral Games, where another Star Wars game was in development under director Amy Henning. All told, EA has now shelved two large-scale Star Wars products in the span of just over a year. The market appears to be taking Henning’s words to heart. According to Seeking Alpha, EA’s stock is down only 1.8 percent following the cancellation of Orca, and business insiders aren’t quite ready to give up on the publisher’s Star Wars efforts. In the wake of Orca’s cancellation, EA announced that it was working on smaller-scale Star Wars games, including Jedi: Fallen Order, which is being developed by Respawn Entertainment and is scheduled for a late-2019 release. Seeking Alpha’s speculation states that if EA can deliver a hit with Fallen Order and perhaps one other title, the cancellation of Orca will amount to nothing more than a speedbump. It’s been six years since EA’s contract with Disney began, with only three games released as part the deal.If EA wants to keep the license beyond 2024, which is when the contract is set to expire, it’s going to have to win the hearts and minds of consumers and deliver a bonafide financial hit. There’s a lot riding on Fallen Order, but the shifting nature of game development makes it far from a sure thing at this point.